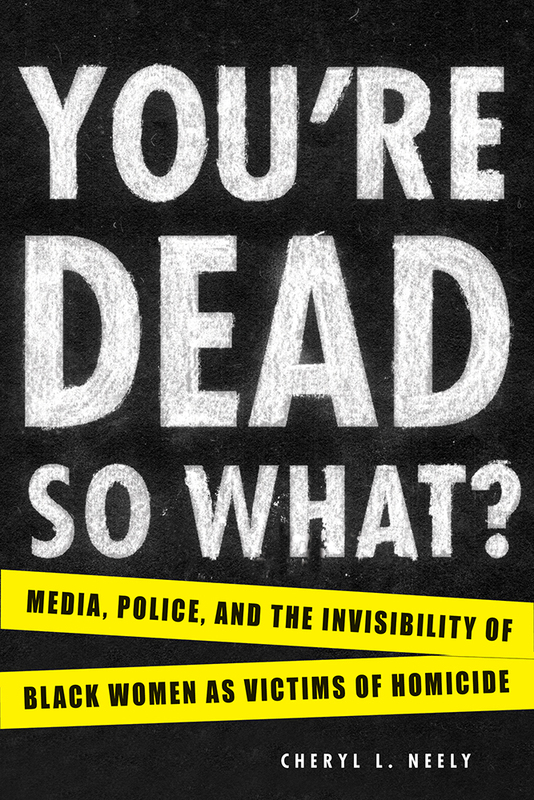 Book | MSU Press | You're Dead—So What? Though numerous studies have been conducted regarding perceived racial bias in newspaper reporting of violent crimes, few studies have focused on the intersections of race and gender in determining the extent and prominence of this coverage, and more specifically how the lack of attention to violence against women of color reinforces their invisibility in the social structure. This book provides an empirical study of media and law enforcement bias in reporting and investigating homicides of African American women compared with their white counterparts. The author discusses the symbiotic relationship between media coverage and the response from law enforcement to victims of color, particularly when these victims are reported missing and presumed to be in danger by their loved ones. Just as the media are effective in helping to increase police response, law enforcement officials reach out to news outlets to solicit help from the public in locating a missing person or solving a murder. However, a deeply troubling disparity in reporting the disappearance and homicides of female victims reflects racial inequality and institutionalized racism in the social structure that need to be addressed. It is this disparity this important study seeks to solve. Cheryl L. Neely is Professor of Sociology at Oakland Community College where she teaches courses in Sociology and Criminology. "Cheryl L. Neely's heartbreaking and insightful book about the media silence surrounding violence against black women is an important reminder that there is a long history of silencing and/or ignoring the victims of violent crimes, especially when they are women of color. Neely's research exposes the media bias that renders them unworthy of our attention, empathy, and ultimately of justice. Her careful attention makes their lives and deaths visible and restores their humanity." Finalist - 26th Annual Midwest Book Awards [April 2016] . Winners announced in May, 2016.